Recipe submitted by Kelli Freeman, Vice President of Marketing, Cadbury Schweppes Americas Beverages. Bet your boots your friends will get a kick out of this new twist on an old favorite. The sweet flavor of these fries will draw raves from miles around. 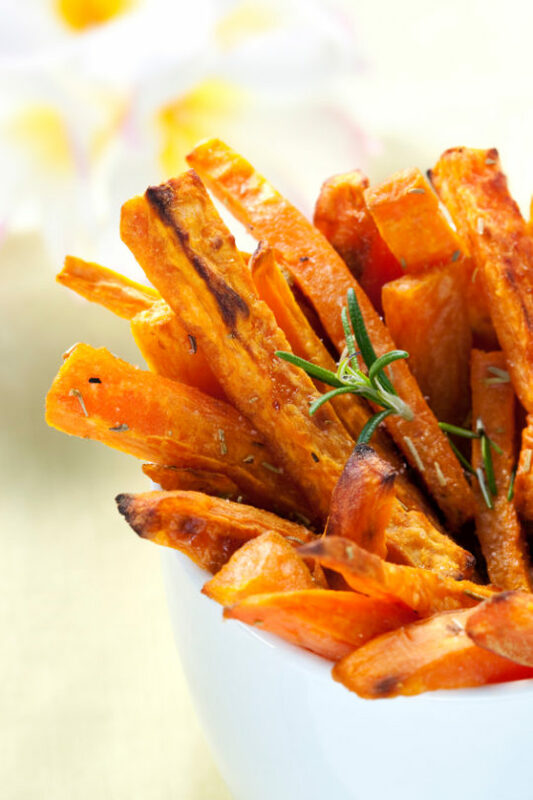 Stake your claim with these sweet potato fries. Arrange potato wedges on baking sheet in 1 layer and coat them with cooking spray. Sprinkle potatoes with salt or salt substitute and black pepper or optional seasonings. Roast 30 minutes, until tender and golden brown.